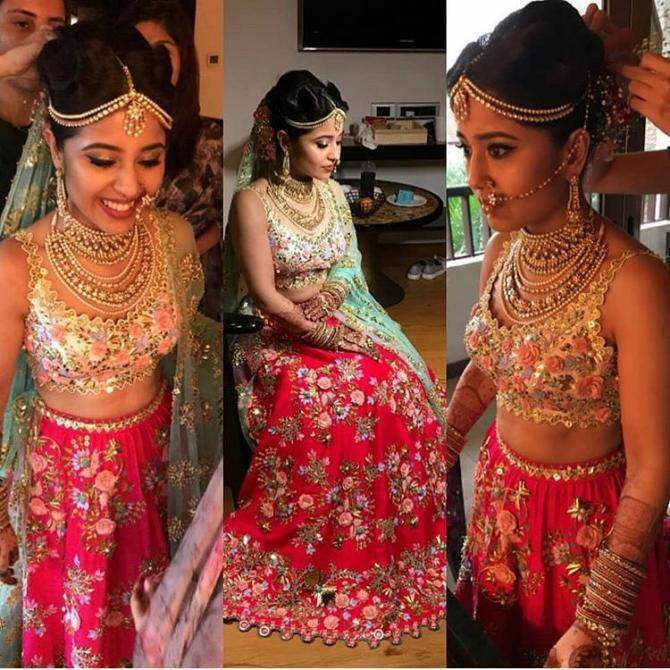 Masaan Fame Shweta Tripathi got married to his longtime beau Chaitanya in a fairytale wedding ceremony. Shweta and Chaitanya decided to get married in the midst of beach, so they finalize to get married in the beautiful state Goa. 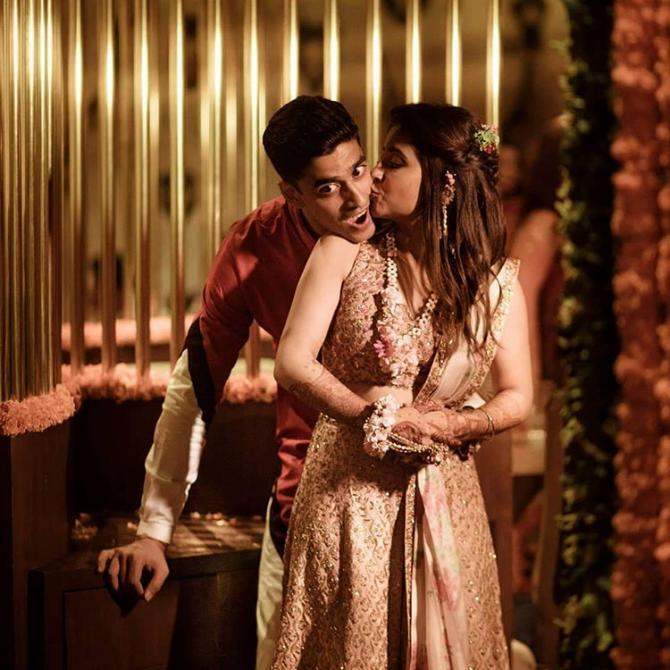 The groom Chaitanya used to be a rapper and took away Nai Dhulaniya’s heart by his vocal skills. 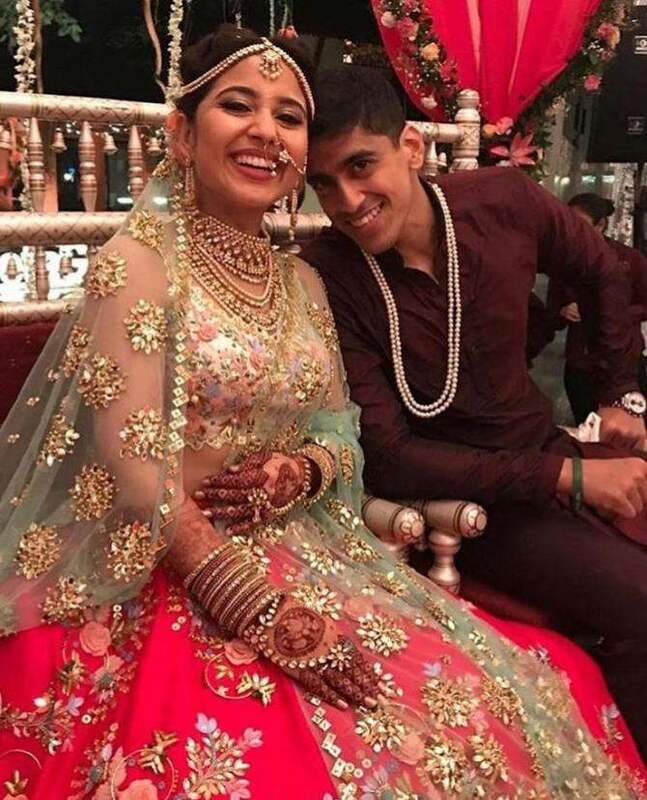 After the romantic Mehendi function the couple decided to go on together in the journey on Life. 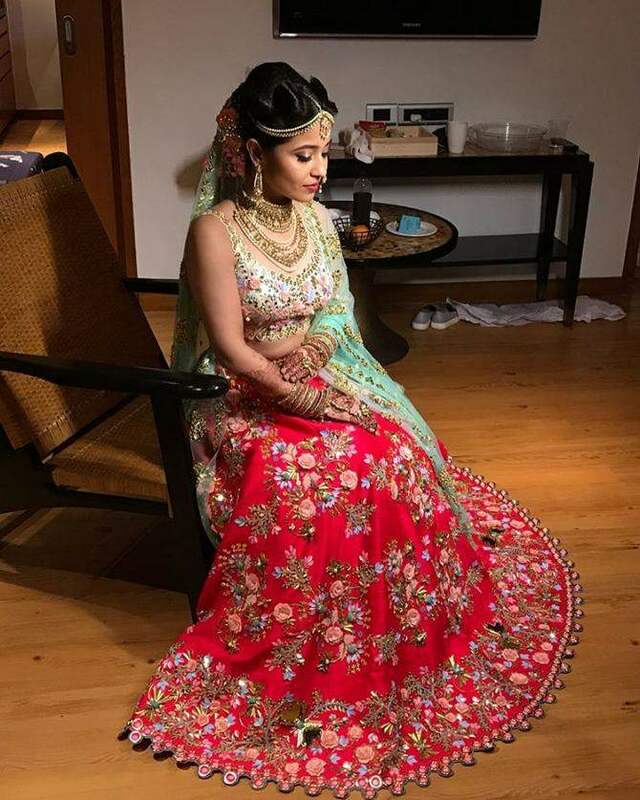 For the wedding, Shweta wore blush pink fully embroidered Lehenga & Choli and added pun element by inculcating hot pink and coral blue colour to the outfit. She complimented it well with minimal jewellery which created a balance in the whole attire. Chaitnya picked up simple chocolate brown sherwani for the wedding. He just teamed up an elegant motif neckpiece; this goes very well with the outfit. Their chirpy smile speaks more than a thousand words! They look totally graceful, aren’t they? For the ones who were under the rocks and don’t know much, Shweta’s most interesting element in the whole look was her Mehendi. 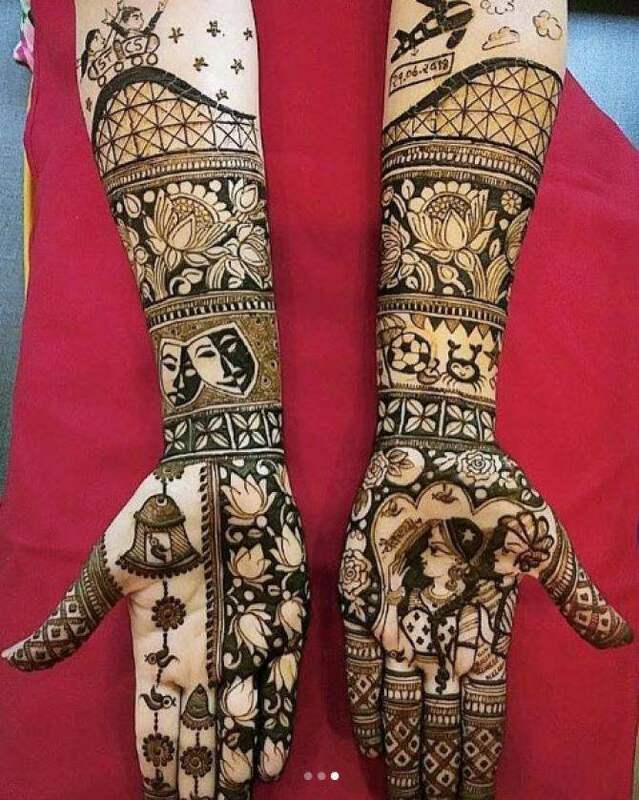 She did not opt for a simple Mehendi design, but she recalled her memories and imprinted them on her hand. Also, Shweta wrote her darling hubby’s name on her palm in Hindi and the Mehendi displays their love story clearly. Wow! Shweta defines modern bride with a chick of desi by this Mehendi! Well, we can wish all the best to the couple and for their happily wedded life ahead! The two make a great couple. 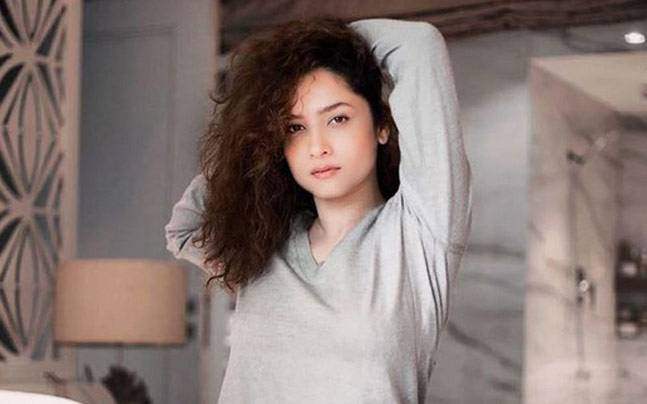 Ankita Lokhande’s first look from debut film is out; she looks as beautiful as a DREAM! Here’s what Jennifer Winget’s character in Bepannaah is all about! The actress reveals interesting details! Next story On Release Of “Sanju”, Sanjay Dutt’s Wife Maanayata Shared A Message, Which Will Leave You Teary Eyed! Previous story These Unrevealed INSIDE Pictures From Sonam And Anand’s Wedding Will Leave You Moonstruck!